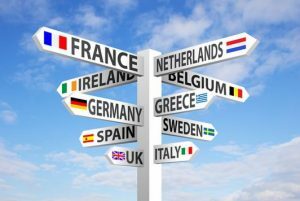 Visiting Europe: What to look forward to? Europe is a large continent that is famous for its very remarkable history and background. This continent is very rich in so many different ways. In this continent you can find different countries to visit, for which some are famously known from a nursery, or a country that is known to have a “city of love”, or somewhere that is famous because of football, or their beaches, or the ruins of the past. Now, here are some reasons why you should visit Europe. This continent has gone so much over the past years, throughout all the world wars, even the medieval wars. Europe has truly remained strong no matter what crisis has happened to them. Even if this continent has fallen down apart, over the years, they have learned to rise up and stand up once again. Stand up to show the world what they have to offer. That is why you should consider Europe because it has great countries to visit. Come and visit the Colosseum in Rome, Italy. This is where gladiators battle for their survival, and people would cheer at them no matter what happens. The Colosseum is built under the administration of Nero, who loved watching the battles that happen there. Italy is not just a place full of old bricks and stones, there is more to discover and learn in beneath. Who doesn’t love the Eiffel Tower? This is one the biggest reasons for why visit Europe. Imagine going to this romantic place together with the person that you love. Having this kind of experience will make you remember every single thing that happened during every moment you are there. Best time to visit France is during the love season. Europe is not just a place full of exemplifying sights and wonders, but it also offers you a huge variety of food choices. European Cuisine is very distinguishable all throughout the world. Although every country will show you a different taste and feel, it will only fall to a single factor. To know it, then you shall come and visit Europe. The best thing that Europe has to offer is not its places, food, or history, but instead its people, the Europeans themselves. The people in Europe are rooted in their heritage and culture, they love music, art, architecture, music, and literature. This is the very reason who tourists visit Europe. It doesn’t matter if you are part of the Asian tourists, American Tourists or even Australian Tourists. Europeans will welcome you with love and will make you feel the warm welcome that every tourist deserves. Truly, Europe is a great continent filled with great people. There is absolutely no reason why you should purchase a ticket to Europe. About the Author: John Schummers from Singapore Travel Online. John is a content writer for other blogs writing various topics which includes fitness, automobile and Gold Coast Australia travel guides. We appreciate his contribution to our blog and we strongly recommend him to other bloggers who needs high quality contents for their websites.